Surprisingly, many states don't have tight regulations or bans on the types of animals you can keep as a pet. Here are some you can own ... but really shouldn't. 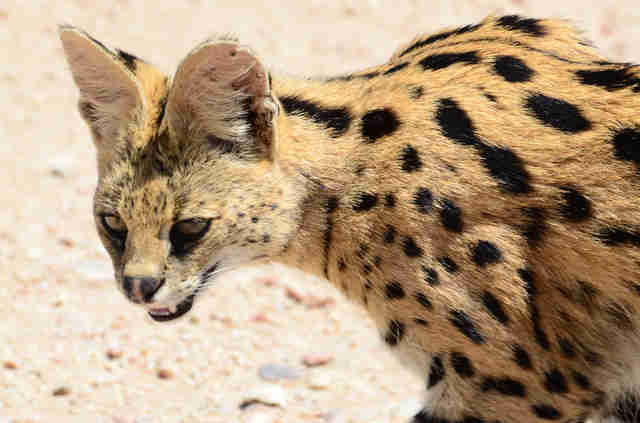 Servals are some of the most effective feline hunters in nature. 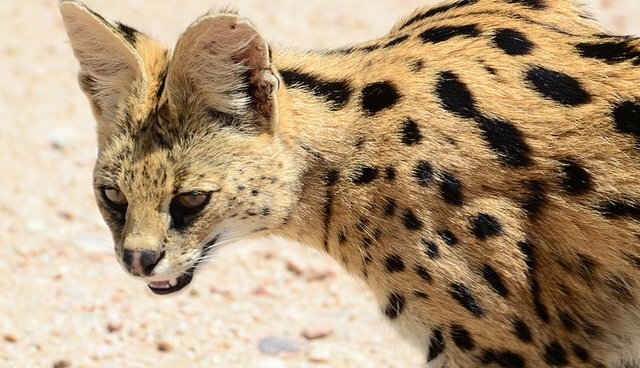 They need wide areas to explore, climb and hunt and typically enjoy roaming around at night. They're also large, weighing upward of 40 pounds. It certainly wouldn't be fair to keep one in a house, where he would be restricted from engaging in his natural activities. Plus, he'd definitely destroy your furniture - to say the least. But states like Florida still allow you to own one with a permit. 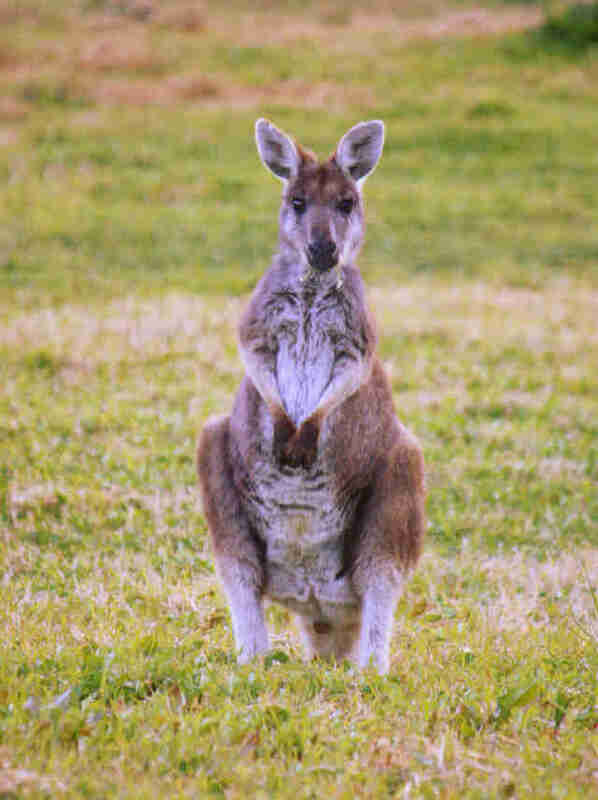 A wallaroo falls somewhere between a kangaroo and a wallaby in terms of size, and can weigh as much as 100 pounds. He also spends a lot of his time digging - sometimes holes up to 3 feet deep - and need acres of land to jump around on. He's native to Australia, but that doesn't stop people in some states from breeding and selling them as pets. The fennec fox is undeniably cute - just look at those ears! - but that doesn't mean he was designed for human amusement. Owning a fennec fox as a pet has become so popular that locals in North African countries have taken to kidnapping them from their native environments to sell them to tourists. 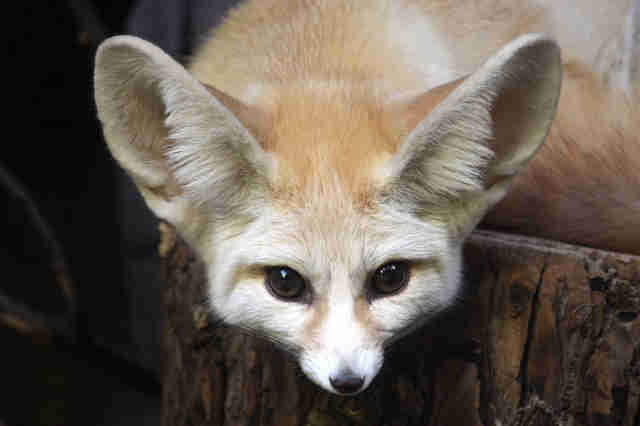 Fennec foxes are desert animals and are prone to digging. They're best suited to large groups in the wild - not suburban living. Capybaras are increasingly popular as pets, even though they can weigh more than 100 pounds. 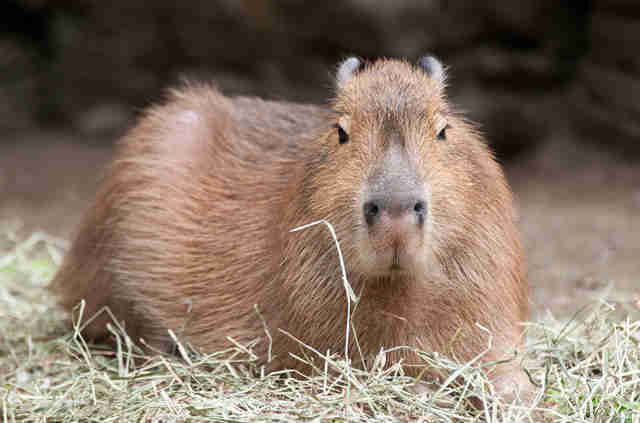 The world's largest rodents, many people believe them to be incredibly social and trainable but that's not always so. In fact, the males may be aggressive with one another. The truth is, capybaras are happiest near open water, like lakes or streams. Putting them in a swimming pool just isn't the same. Skunks are common all throughout America, but rarely do you find them hanging out on someone's sofa. You can, however, own one in several U.S. states. 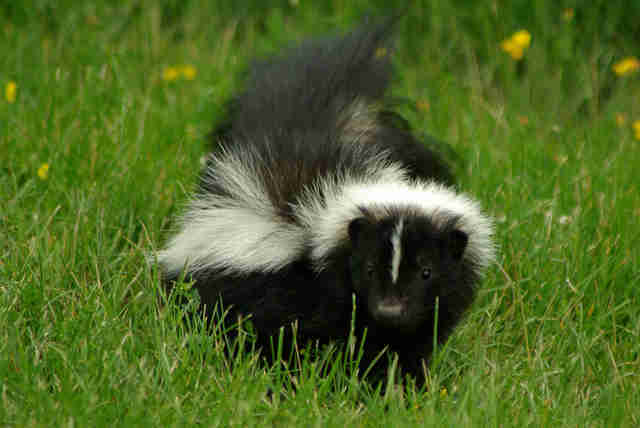 But you'd have to remove their scent glands, the skunk's best line of defense against predators. Skunks are known to be destructive if not kept busy, and they tend to be most active at night - not a good way for you to get your zzz's. Sloths are becoming increasingly popular and are often thought of as good pets due to their docile natures. However, sloths are extremely difficult to care for. They need things to swing from as well as humid, warm environments. 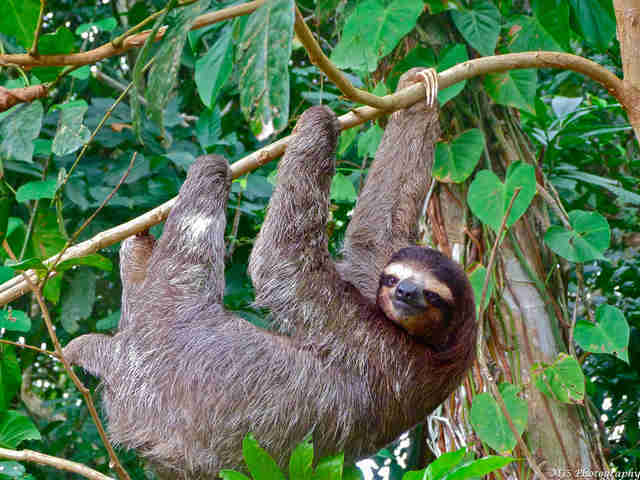 Sloths are routinely captured as part of a booming illegal pet trade in Colombia, a practice that certainly doesn't have the animal's well-being in mind. 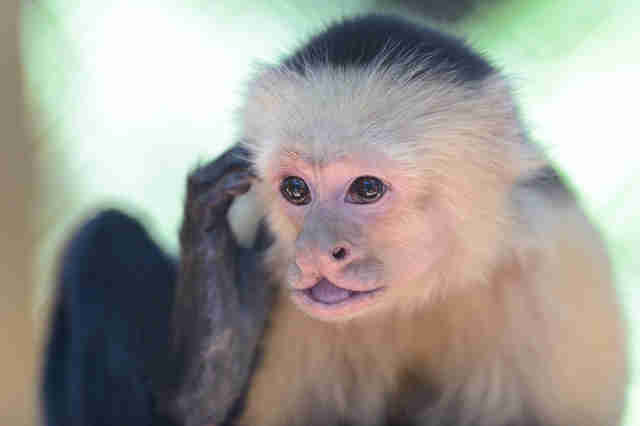 Made famous by the TV show "Friends" and celebrities like Justin Bieber, the capuchin is a popular primate. Many areas offer permits for owning one, but capuchins and other primates require constant socialization with others of their species and are prone to aggression when they reach sexual maturity. Sadly, they're often abandoned by their owners. 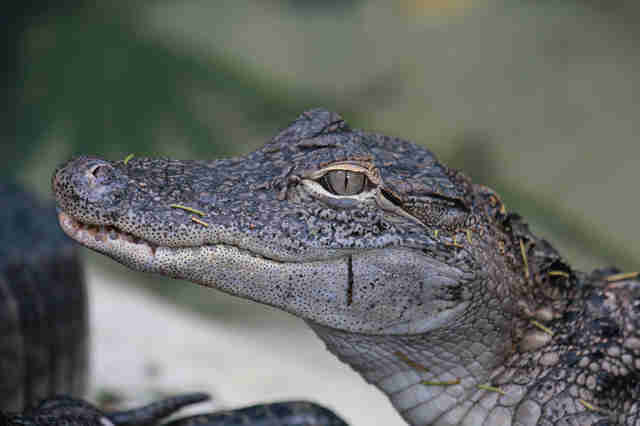 It's amazing the number of animals, including the alligator, you can legally own with a permit in Florida. Alligators are incredibly dangerous, prone to attacking and are capable of causing death and serious injury when provoked. Most permits require owners to put tape around the alligators mouth in order to have him around people - which is just cruel. Big cats are popular among exotic animal enthusiasts and, frighteningly enough, restrictions are often extremely low. In some states a permit is not required, while others only require fences that can't realistically be trusted to keep the cats in. 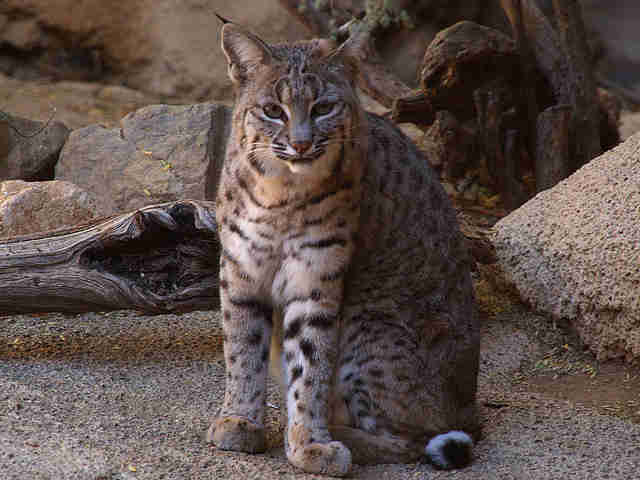 Bobcat attacks on humans are rare, but they do prey on smaller animals, like birds or cats, and have been known to become defensive of their food.